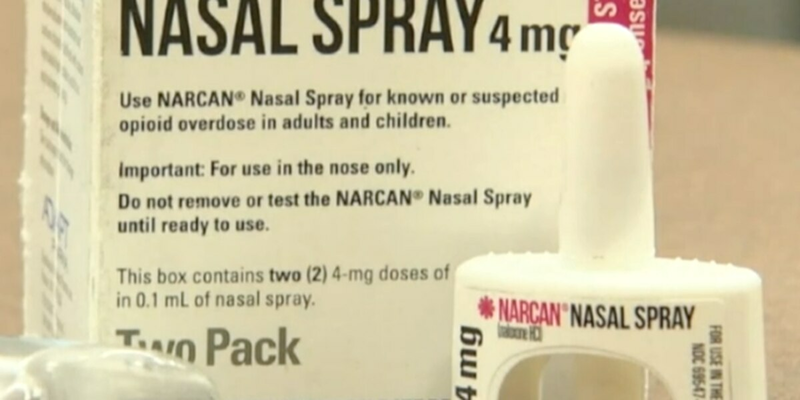 PIMA COUNTY, AZ (Tucson News Now) - Pima County Sheriff’s Department deputies will now carry NARCAN or naloxone HCI, nasal spray, according to a recent news release. NARCAN is used to treat opioid emergencies, including possible opioid overdoses. Each deputy will be issued an individual dose to carry in their Individual First Aid Kits, this will be after they are trained on how to determine if it is an opioid overdose, as well as how to use the spray. According to PCSD the NARCAN will be provided, at no cost to the PCSD, by the Arizona Department of Health Services. In July 2018, we told you the PCSD chose not to carry narcan when other agencies like TPD did. Some special units did, but generally deputies didn’t. “We have continually evaluated our position with respect to the deployment of Narcan," Sheriff Mark Napier told Tucson News Now. " There exists some concerns about heat stability that we cannot overcome. However, after consultation with medical experts and careful consideration we developed a way to deploy it that we think may work. "While it is true that Narcan may degrade if exposed to heat over extended periods we learned that it may still maintain enough potency to possibly offer a lifesaving benefit to someone suffering an overdose. Medical experts informed us that the worst result is that it would not be effective, but would not cause any harm." Arizona, like every other part of our country, is battling the opioid abuse epidemic. While not a substitute for emergency medical care, the PCSD is making NARCAN available to deputies as a potential life-saving tool.